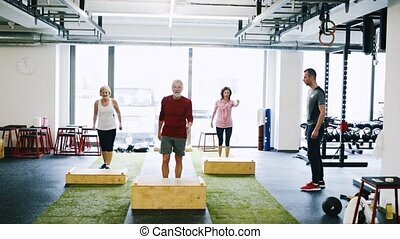 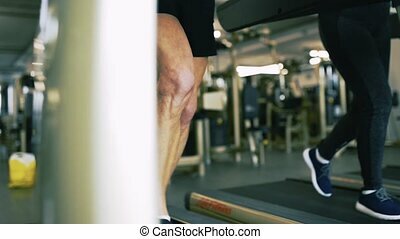 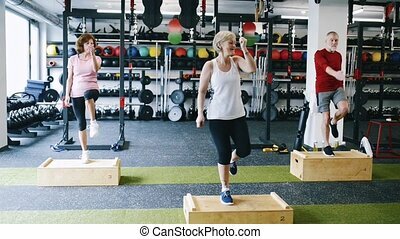 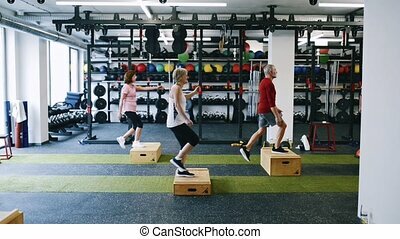 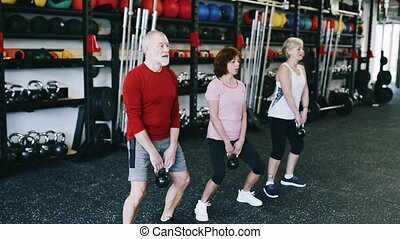 Fit Seniors In Gym Working Out, Doing Box Steps. 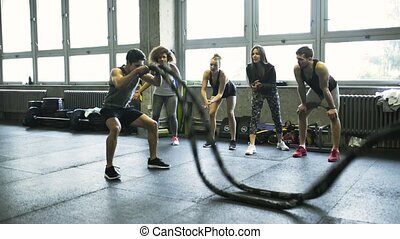 Pretty girl working out with ropes in the gym. 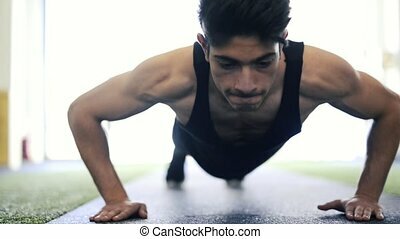 Slowly. 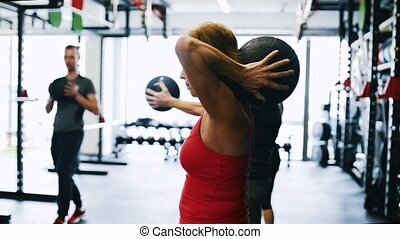 Sport girl working out with ropes in the dark gym. 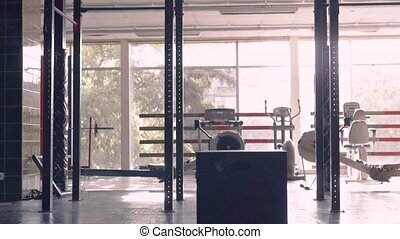 Slowly. 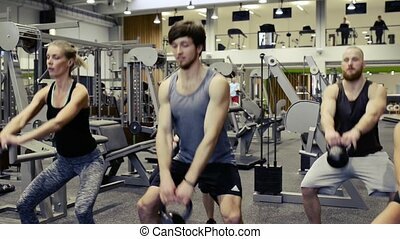 Attractive overweight woman in pink t-shirt in modern gym working out her arms with dumbbells, doing box steps. 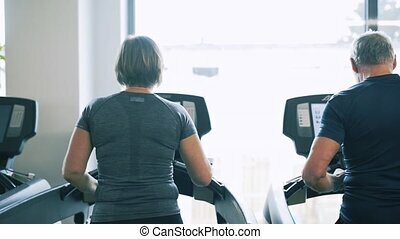 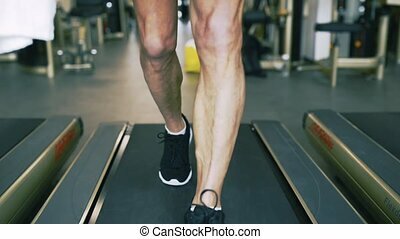 Chubby young blonde woman at fitness center. 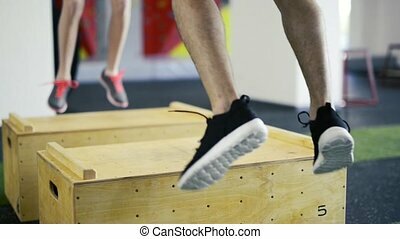 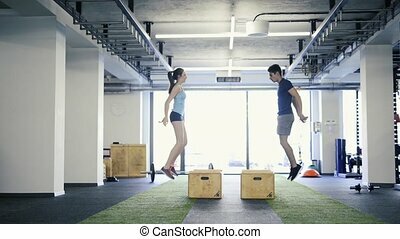 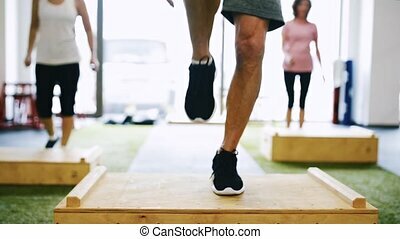 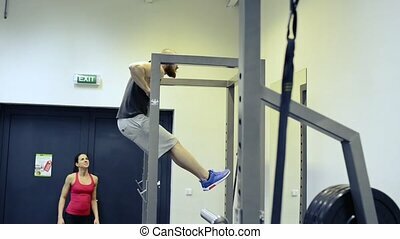 Beautiful young fit couple exercising in modern crossfit gym, doing box jumps. 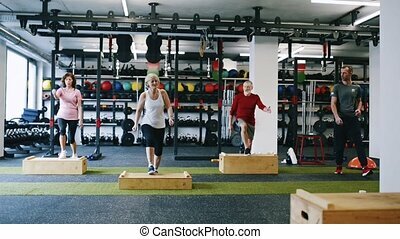 Unrecognizable young fit couple exercising in modern crossfit gym, doing box jumps. 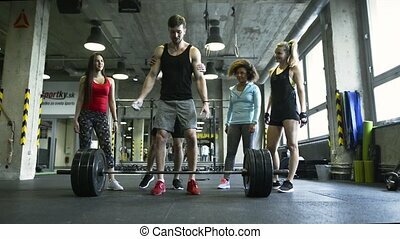 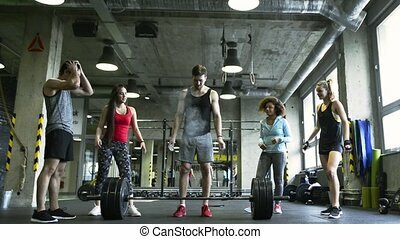 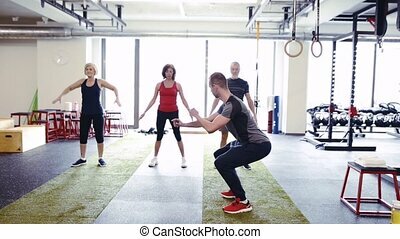 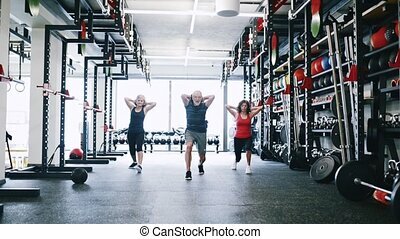 Group of young fit people in crossfit gym working out, doing push ups. 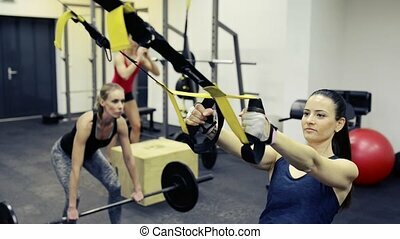 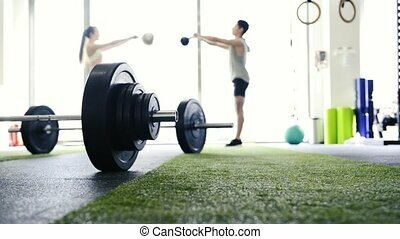 Three young fit women in crossfit gym working out with various equipment. 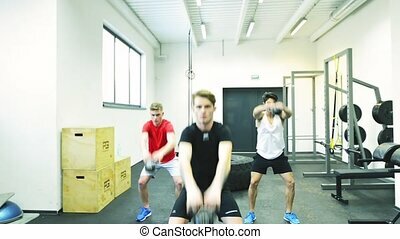 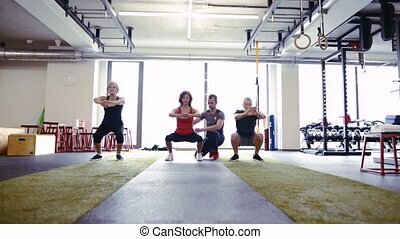 Three young fit men in crossfit gym working out, doing kettlebell swings. 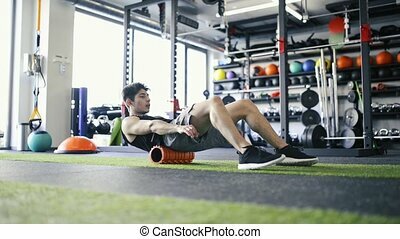 Young fit man in crossfit gym doing intense strength training, working out with battle rope. 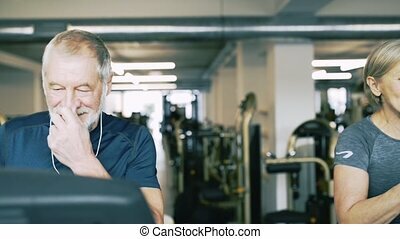 Group of young people standing around him, cheering him on. 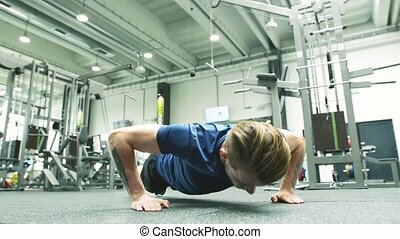 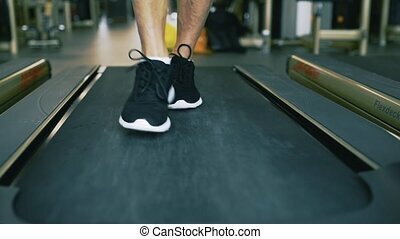 Fit hispanic man doing strength training, doing push ups in modern gym.